The aroma that fills your home from the "wassail pot" as this drink festively brews is so inviting. This is a non-spiked, trimming toddy… a medicinal drink that is good for what ails you. 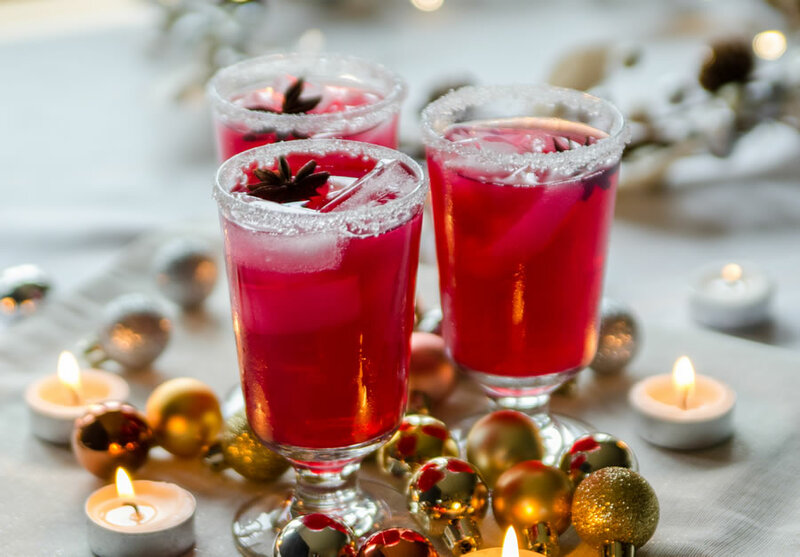 Each ingredient contributes to your Holiday health - or drink it all year long, just because it is so goooood! This all-day sipper is found on page 406 of the Trim Healthy Mama Cookbook. This recipe makes 2-quarts that should stay warm and inviting for the family! Put cranberries, cinnamon sticks, cloves, and star anise into a pot and cover with 1 & 1/2 quarts of water. Place a lid on the pot and bring to a rolling boil over medium-high heat. Turn the heat down to a gentle simmer and brew for 1 hour while you become completely intoxicated with the heart and home warming aroma. Fit a 2-quart jar or large jug with a circle of fine cheesecloth, tying it over the mouth of the jar, or insert a funnel-type coffee filter into the mouth of the jar (Serene uses the permanent filter from her coffee maker for this). Using a ladle, scoop the spicy mixture into your filter to strain it into the jar. Occasionally you might need to swish things around in the filter and maybe even remove some of the mush to allow the liquid to flow through. Remove the filter and add very hot water to top off the jar. Add the stevia and orange extract, stir very well, and taste. Adjust the flavorings accordingly to own it. Pour your wassail into a warmed crockpot, leave on warm setting and enjoy at your leisure to delight your senses this holiday season and beyond.